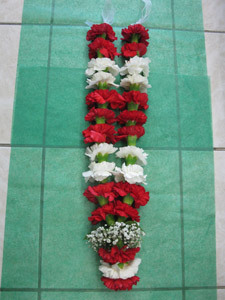 Pooja garlands are designed for Maruti or pandit ji. Colors can vary. Each sold seprately. Only best quality fresh flowers used. Please book in advance.